Composting is the process of decomposition of grass clippings, leaves, and other organic matter that occurs continuously in nature and results in an organic nutrient rich, soil like material. As tress drop leaves, grasses, plants and trees die, they decompose over time and return their nutrients to the soil as compost. Composting reduces yard waste entering landfills. 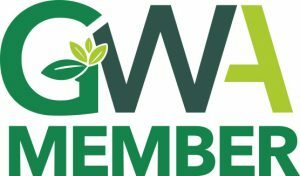 Each year hundreds of millions of tons of grass clippings, leaves, weeds, organic debris, and other yard waste enters landfills. This makes up about 20% of the total volume of all material entering landfills. The cost to collect and dispose of this waste is nearly 1 billion dollars a year. Composting saves you money by reducing the need for store bought fertilizer. Compost is free. Adding compost to soil helps reduce your watering needs by helping the soil retain water. Compost forms best when it is kept at a constant moisture level, similar to a damp sponge, not soaking wet. Air allows aerobic composting to occur rapidly, and with little or no foul odors. About 30% of the total initial volume of your compost pile should be air space. A 50:50 ratio of green to brown material by volume will provide the best results. By mixing, or turning, your compost pile regularly, the proper blend of the four components of compost will be maintained. To speed up the composting process, mix your compost pile more often. Mixing your compost allows air to enter into the pile. If the pile has become too dry, add more water and mix it in. Be sure to NEVER place anything containing fats or oils in your compost. (ex. meat scraps, baked goods). Do not place dog or cat waste in your compost pile. Do not place diseased plants or weeds in your compost pile. Microorganisms that contribute to the composting process will generate a substantial amount of heat in a compost pile that has the proper mix of ingredients and that is large enough, at least 1 cubic yard. The optimum internal temperature is right around 150°F. These temperatures are critical for the destruction of pathogens and weed seeds. Patty Hoenigman, author and Texas Master Composter, describes six ways to compost, ranging from easy but slow to produce, to more involved but producing compost more quickly. 1. Use a mulching lawn mower. 3. Make a trough, bury kitchen scraps and cover them up as you go. 4. 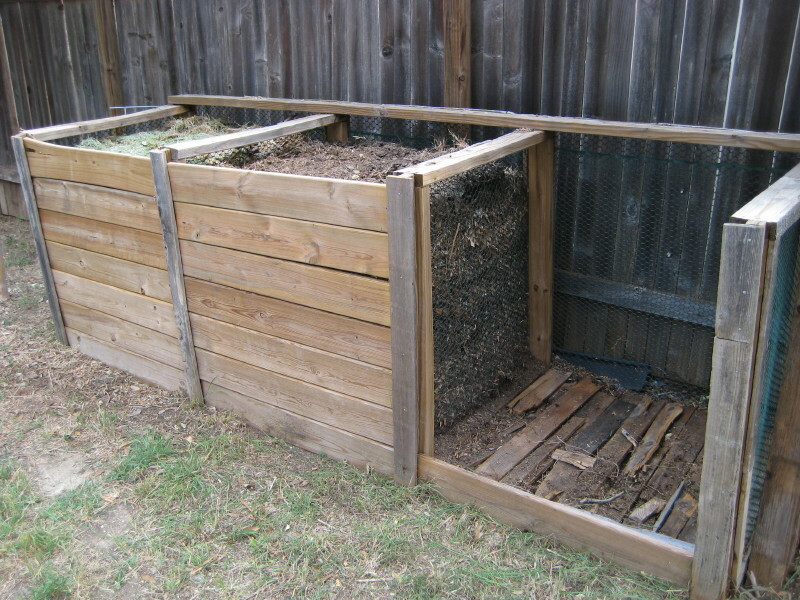 Passive Composting – this can be used to produce a small amount of compost that will be done in 4-6 months. Add leaves to a bin, add food scraps, and cover with more leaves. Add water and mix once a week. 5. Heap or Pile – make a compost pile, away from the house. Add brown and green material as they become available and just let the pile sit. It will take about a year before usable compost will be available at the bottom of the pile. 6. Active Composting – This method requires a minimum of 1 cubic yard of material to start with ideally in a 3’x3’x3’ bin. Soak leaves overnight and then alternate 2” deep layers of brown and green material in the bin. Let it sit for 3 days to allow the internal temperature to peek. Next, turn the pile completely, being sure to add water to any dry areas, every day for 11 days. Let the pile sit undisturbed for two more weeks to cure. You will then have a complete batch of compost ready to use in just four weeks. The final volume of compost will be about 1/3 of the starting volume of the pile. Start composting today! It doesn’t matter if it’s 105°F outside or 35°F. 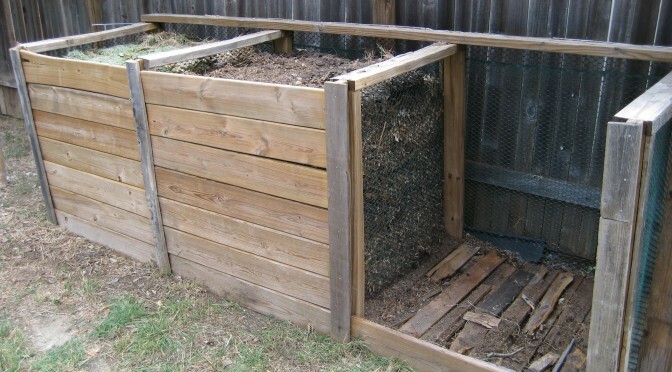 You can build a compost bin out of wood, cinder blocks, or chicken wire, or just make a pile or small hole. Once you see the rich results of composting on your garden, you’ll be glad you did. Just wondering how to correct my mistakes in my compost pile – namely adding too little brown. I have one of the rotating bins and frankly it’s too heavy torotate. Any suggestions other than the obvious? Theresa – If you can’t rotate the bin, you may want to remove some of the existing material. You can then add some brown material such as saw dust, peat moss, straw, pine needles, or newspaper pieces. If the contents are too wet, try leaving the lid open for a few days to let it dry out. The good news is that it’s not an exact science. Things will break down and turn into compost pretty much no matter what you do or don’t do. Hope these tips help. Thank you so much. I just started a compost pile in my backyard based on what I remember our parents telling us to do growing up. We always put dirt in it. No dirt? And we never turned it. I learned on PBS to use 1 part brown 1 part green. Didn’t know where the kitchen scraps came in. Now I know. I may have trouble coming up with enough “brown” stuff. Wait. Newspaper is “brown?” Nevermind. Problem solved. I am so excited! Glad you found the information on compost helpful. Happy gardening! The highest internal temperature that it is likely to reach, about 150 degrees. I thought newspaper now contains toxic substances…can you clarify this?